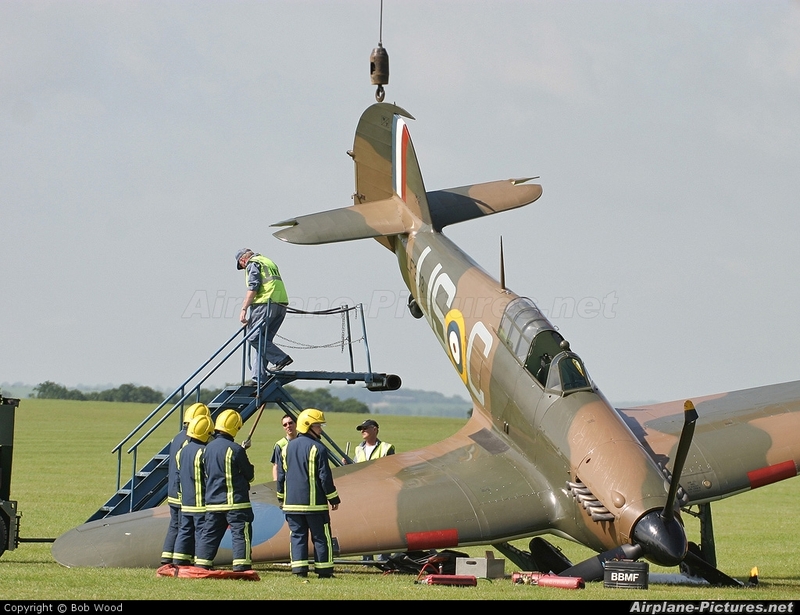 There was a slight bounce on landing and then the starboard undercarriage partially collapsed. The aircraft then veered off to the right towards the fence-line . The pilot was obviously very aware that he was heading towards the fence-line and he used the brakes to tip the nose down to prevent it leaving the grass. Finally the props dug into the grass and the aircraft came to a halt.